Maluki had what she thought was a minor infection in her chest. She took a couple of pain relief tablets. She is undocumented and uninsured. She had no access to a community clinic where she might have seen a doctor with no questions asked; no one in her suburban family had heard that such things exist. Within a few weeks Maluki was doubled over with pain and was rushed by a neighbor to an emergency room at a major public hospital two hours away. Two surgeries later the 38-year-old mother of three will be out of work for a very long time. Her husband, partly disabled, works irregular hours when he can, leaving the family dependent on what money the teenaged children – all U.S. citizens – can bring in. The children still hope somehow to finish high school and attend college. Almost everything, if you asked the five California experts on a recent Commonwealth Club panel in San Francisco. “Undocumented and Uninsured” brought together two heads of clinics where treatment is available to all and two others with unique insight and perspectives. Moderated by Daniel Weintraub, Editor in Chief and Project Director, California Health Report, the panel included John Gressman, President and CEO, San Francisco Community Clinic Consortium and Scott Hauge, President of CAL Insurance & Associates Inc and Co-Founder and Vice Chairman, Clinic by the Bay; Laurel Lucia, Associate Policy Specialist, UC Berkeley Center for Labor Research and Education; and Jirayut New Latthivongskorn, Co-Founder of Pre-Health Dreamers. They were looking at how the Affordable Care Act will impact immigrants unable to get health insurance, and what the healthcare future might hold for them. While Gressman, Hauge and Lucia each brought extensive understanding of both the policy and the real-world details affecting healthcare needs of undocumented immigrants, it is the personal stories of Lucia and Latthivongskorn that illuminate the remarkable richness of our immigrant nation. 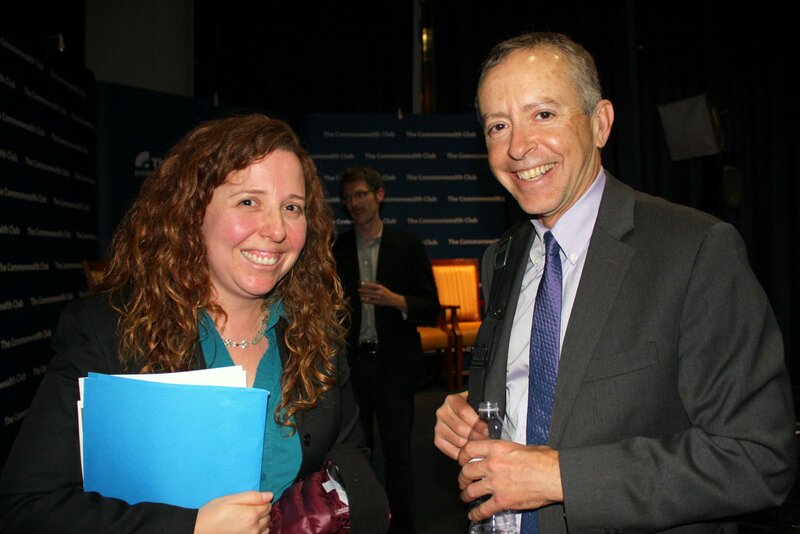 Nearly a century before she was invited to bring her expert knowledge to a Commonwealth Club panel, Laurel Lucia’s great-grandfather was a frequent speaker at the Commonwealth Club himself. Felipe N. Puente was memorialized in the Club’s Journal upon his death in January, 1951. He was, his obituary reads, “by far the most important personal tie between Northern Californians and the Republic of Mexico for nearly a quarter of a century. “Commencing as a colorful revolutionary Mexican leader in 1917 (as Jefe de Transportacion for the late Revolutionary General Francisco Villa), he had for 25 years been a resident of San Francisco, with five children in our public schools, and the long-time Manager of the Mexican National Railways, San Francisco division, in the Monadnock Building. Lucia missed out on knowing her notable ancestor, “but I was quite close to his daughter, my grandmother.” She had not, she says, ever made any connection between his immigrant status and her current work – as a Policy Analyst for the UC Berkeley Labor Center – which partly seeks to strengthen the safety net for those more recently arriving on our shores. As for the other young person on the “Undocumented and Uninsured” panel, Jiryat New Latthivongskorn (hereafter identified by his familiar name, New) confesses to having been a little startled to hear himself constantly referred to during the evening as “the first undocumented student to be admitted to UCSF (the University of California San Francisco) Medical School.” But that is, in fact, part of his current resume, and a not insignificant achievement. There were 7,453 applicants to UCSF Medical School for New’s class, out of which pool 490 were interviewed and 149 were accepted. The overall grade point average was 3.77. New Latthivongskorn came to this country with his parents when he was 9 years old. His parents worked in Thai restaurants every night until 11:00. But whenever he tried to help, he said in an interview on KQED Radio last May, “the answer never changed. ‘Don’t worry, and do your job.’ My job was to get an education.” So far, he appears to have done his job quite well. New never considered the idea of being a doctor until one scary incident during his junior year in high school when his mother fell gravely ill and had to be taken to the emergency room. The family had, until that time, relied on a medicine cabinet full of remedies for colds and pain and a few old antibiotics from Thailand. But in the ER, when his mother couldn’t understand the doctors and they couldn’t understand her, New realized his job might be more than just a translator. There are those, including a few who commented on the KQED program, who argue that anyone who is in this country illegally should simply be sent back to wherever he or she came from and until then should receive no benefits – and certainly no healthcare. That may, however, be an overly simplistic – not to mention cruel and unusual – answer to a very complex issue. 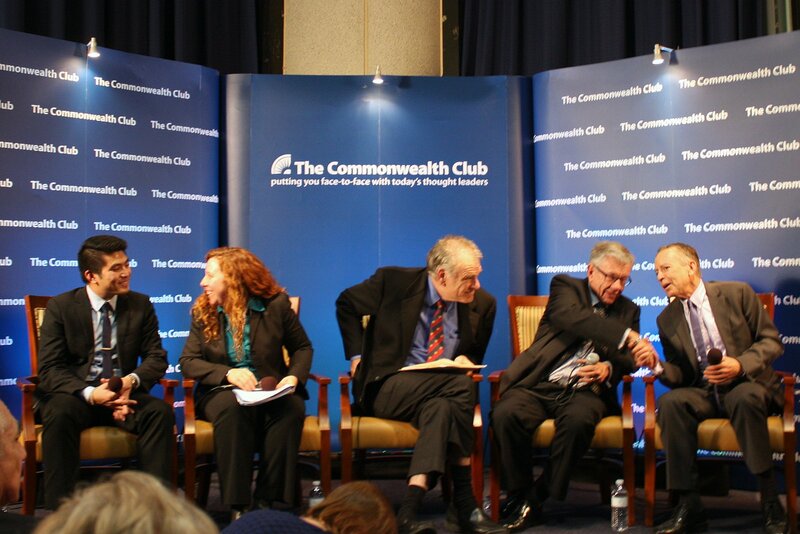 “Immigrants don’t come here,” New told the Commonwealth Club audience, “for free healthcare. They come here to escape danger or terrible conditions; they come here to work.” In short, to create a better life for themselves and their families, and ultimately to give back to the communities of their new world. That was definitely true for immigrant Puente a century ago, and is demonstrated by the hard-working parents of doctor-to-be New. Other than the Native Americans who pre-date most of us, it would be hard to find many U.S. citizens whose ancestors didn’t have similar stories.